The owners and operators of BuyShihTzuPuppies and connected websites have been breeders and been connected to the pet industry since 1996 and have personally been online since 2003. Thru our own online adverting we have learned a lot and know there is a need for quality pets and adverting websites that standout among advertisers. Because of this we have started our online breeders directory. Please note the breeders on our websites will be best of the best. So if this is you please register and we will give you a call and talk to you personally. We look forward to talking to you very soon. Here at BuyShihTzuPuppies we offer - America's foremost Shih Tzu puppy breeders adveretising website! We are the ONLY website designed to focus just on the Shih tzu breed. Your potential buyers will not be distracted by other dog breeds while on our site. 3. Your ads will be posted on our network of domain names which gives you the ultimate internet exposure possible. We offer lots of affordable advertising. Our focus is to help you place your puppies, this is why are adverting plans start at just $9.99 a month for unlimited ads. When designing our website we thought of you and made it very user friendly. www.BuyShihtzuPuppies.com is a membership of responsible Shih Tzu dog breeders throughout the USA and Canada. 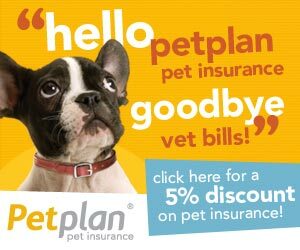 As a member of www.BuyShihtzuPuppies.com you can choose from different affordable advertising packages. We offer our monthly are as follows, Elite, Features, and Premium. Then we have our weekly SPOTLIGHT ads. For the breeders that want to sign up for an elite or featured subscription we have a bonus for you. We have worked out a couple GREAT deal with Branding Images on a PERSONALIZED video for you..
Visit our VIDEO Page to see more details. If you want one of your ads to be listed as a spot light ad Contact Us. and put SPOTLIGHT in the subject line.